The purpose of this blog is to describe how we can manage activities like test set, test cases from creation to execution, and other QA activities using the tool Rally. While doing testing in my current project, I was facing challenges when pulling out a Test case execution report for each release in the iteration. I have used the test set feature, which helps me to manage test cases efficiently for regression testing and to get the report of each release.I want to share the different ways of Test case creation using Rally and how we can use Rally Add-in to import test cases from MS-Excel directly. I also want to share how Rally can help us keep the quality track and the history of the build or release, as well as how Rally can be used automatically (having the tests updated with results from running automation tests). Rally is an agile project management solution that provides release planning, iteration planning, the ability to schedule all or parts of requirements from release backlog, and the ability to manage other QA activities. A test set is a container for test cases, which can be run in an iteration or release. Test sets allow you to group and schedule regression tests in an iteration or release. For example, a test set could include smoke, configuration, system, and so on. Once grouped, you can run test cases together. From Quality, select Test Plan. From Actions, select New Test Folder. On the Create Test Folder editor, enter the name of your new test folder. 1. Create test cases as a stand-alone: The first way to create the test cases is as stand-alone. Use the following to do so: Click the Quality tab -> Test Cases, from Actions -> Click New Test Case. 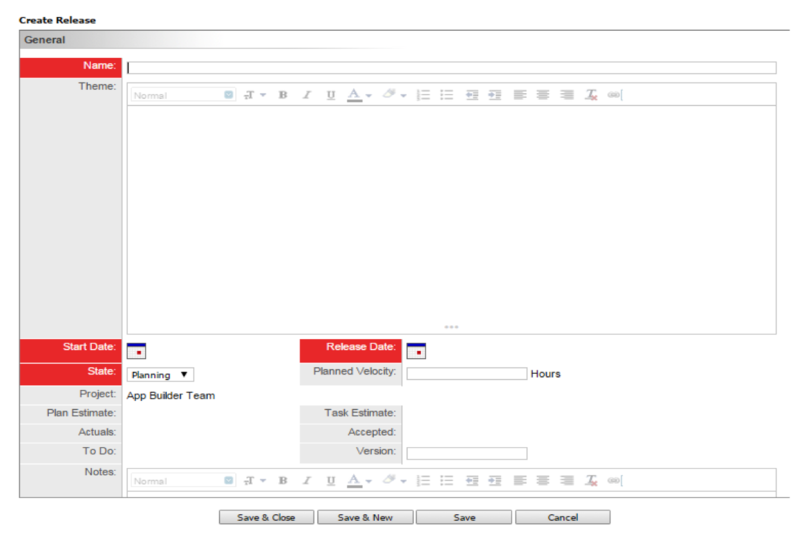 The following screen will open to enter test case detail with the option to link the test case with a work product. 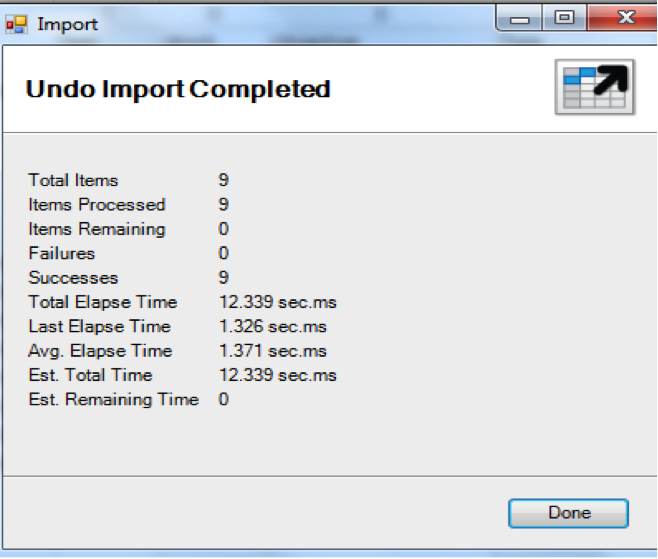 The next step is to create the release cycle. To create the release cycle, click on the Plan -> Time boxes. Then click on “Add with detail;” the following screen will open for the user to enter release data. 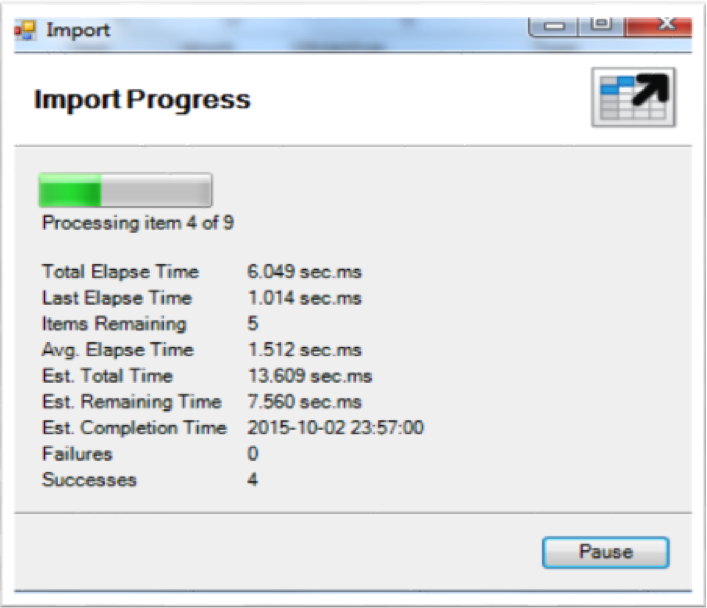 In the screen below, we have created two cycles/releases for the iteration. We will execute test cases for two cycles (this varies from project to project) for each story. The next step is to create the test set. A test set is a container for test cases that can be run in an iteration or release. To create test sets, click the Track tab, then select Iteration Status or Release Status. The screen below will open when a user clicks on Schedule New Test Set. Here a user can link between test sets, releases, and iterations. The next step is to copy the test cases in the test set by clicking on the icon against the test set (see the screenshot below). 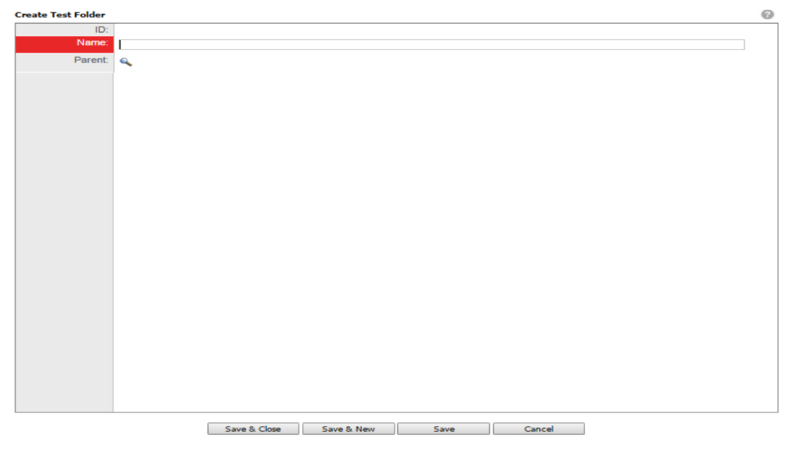 The screen below will open to choose the test cases from the test plan. Once the test cases are selected, they will display under the particular test set. The last step is test set execution, where a user can run the test set for two releases or cycles. The test run page displays all test cases and their related test steps contained within the test set. Use this page to run each test case within the test set. 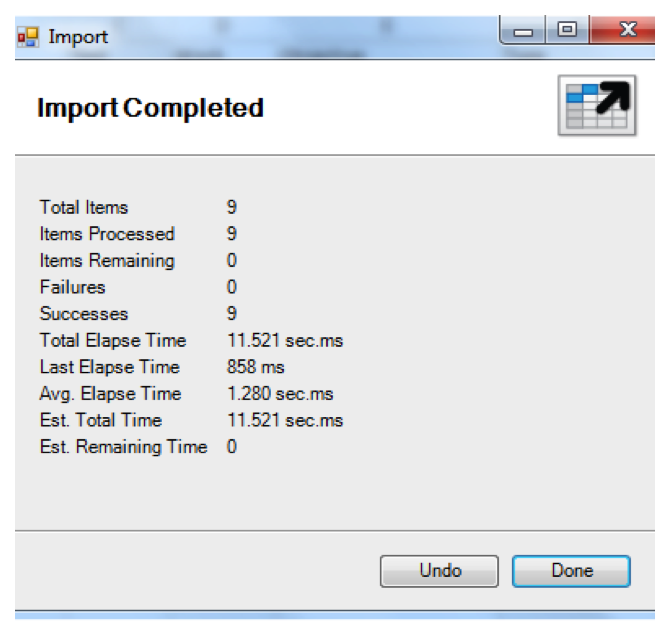 Below are the results after the test set execution for Release #1. Here we can see that 14 test cases passed and 5 test cases failed; when a user expends the TS10 in the screenshot below, all passed and failed test cases will be displayed. In the screenshot below, we can see defect (DE5035, DE5036) is associated with a failed test case. Below are the results after the test set execution for Release #2. Here we can see that all 19 test cases passed. 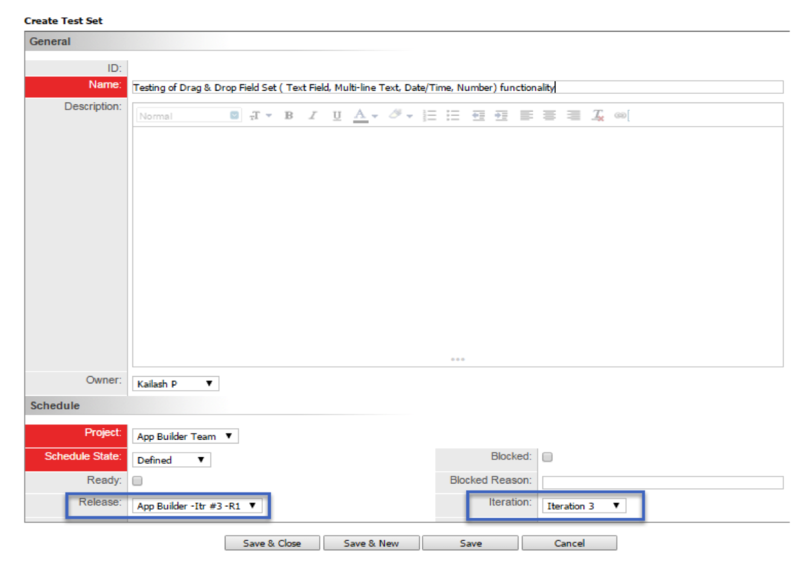 With this blog, we have understood how we can use test sets to execute test cases using the tool Rally. There are many other tools for test case management, like Jira, TEst TRack, and Test Rail, but Rally is one of the best tools for managing both test cases and defects in a single tool. 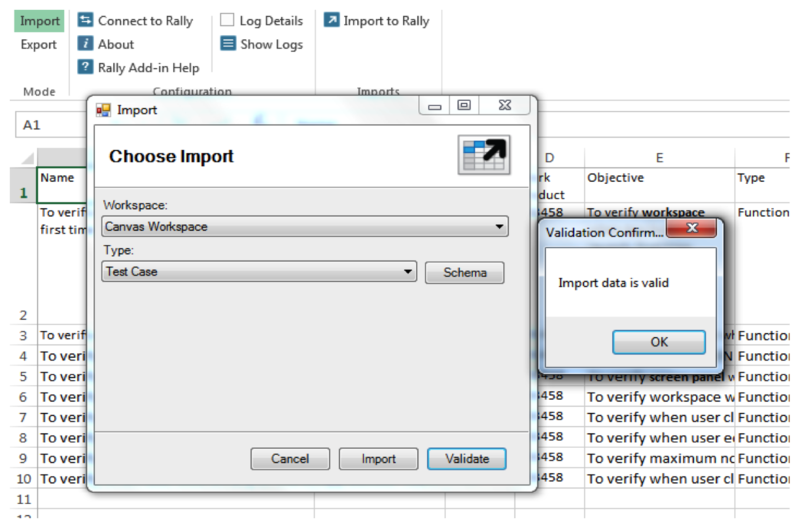 We have also understood how we can pull out test case execution reports for each release, and how we can use Rally Add-in to import test cases from MS-Excel directly. Kailash Chander Pathak is a Module Lead Quality Assurance at 3Pillar Global. Kailash has much experience in Telecommunications & Satellite Industries, as well as in Finance domains. Kailash has worked in domains like Healthcare, Education, ERP, and Standards Compliance. He also has expertise in various types of testing such as Functional, System, Regression, and Performance. He is a ISTQB, PRINCE2®, and PMI-ACP® Certified professional. Prior to joining 3Pillar Global, he has worked for Xavient Information Systems. Hi, I have created some test cases using the CSV document provided by Rally, but I would like to know if there is a way to update existing test cases using a CSV format or any other kind of documents instead of manually changing the test cases on Rally. Thanks for this post, very useful information, however we have a TestSet containing many testcases. We wish to export all testcases within a TestSet into an excel spreadsheet, do you know a way how will this be possible? 1. linking the many test cases to user story was suddenly not working. 2. 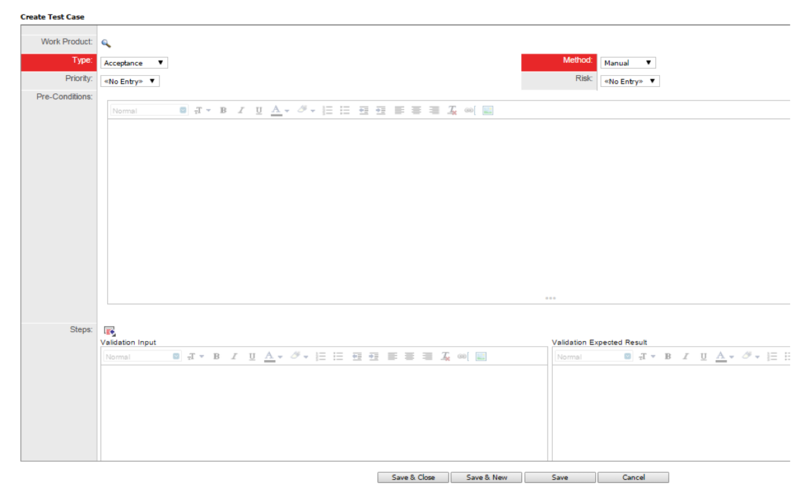 The adding existing test case in every user story in portfolio item is also not displayed! Great blog. Can we create sub folders in Test set like how we have in HP QC ? I am unable to import using csv file. Its says select Object Type at line 0. when i give this value as Test Case,still same error. Any suggestions.